Why are Muscat trailers better? Because they combine 40 years of real world experience with state-of-the-art computer-assisted design. In other words, we know exactly what makes a trailer strong and durable, and we can precision-build it so it actually is. As a result, we have a wide range of purpose-built trailers that our customers love. Trailers they keep coming back for. We design our trailers to do their job properly. Even if that means coming up with a completely new design. 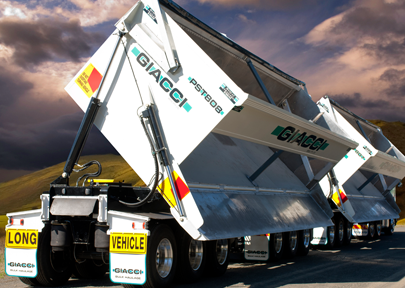 Like the B Double platform trailers designed for tip through of wood chip for Mt Gambier. Many others, too. Our trailers can take punishment like no other, and they don’t know how to give up. Thanks to the very best materials and the finest workmanship, they do their job without even breaking a sweat. And they keep on doing it, year after year. So more uptime and less stress. With more than 20 standard designs available to choose from, you’re bound to find a trailer that does exactly what you need. Most are aluminium tippers, but we have a range of steel tipper trailers too. After something unique? No problems. We’ve designed hundreds of custom trailers, since 1973. We’ll meet with you to discuss what you’ll be using the trailer for, then design something specifically for the job. 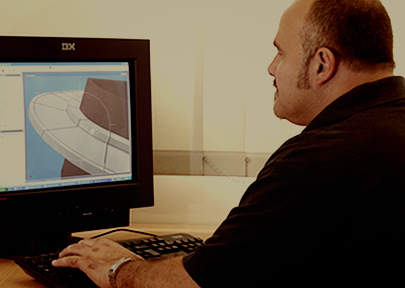 Our engineering department will design and provide drawings of your unit, using the latest 3D Auto CAD and finite element stress analysis software. Then, once you’re happy with the design, we’ll manufacture it. Obviously if you have ideas about how you’d like to see it done, we’d love to hear them. Likewise, we’ll make helpful suggestions and offer any advice we can, along the way. Our goal is to create exactly the trailer you need. One that handles the payloads you have in store for it, and performs at its best, day in and day out.